Process dough until you have a wet, sticky, uniform mixture that holds together when you roll it into a ball. You may need to add more milk, tablespoon by tablespoon, until the mixture comes together nicely. 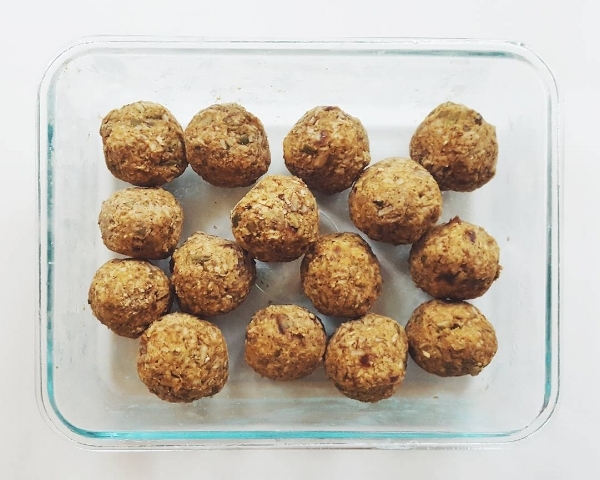 Roll dough into bite sized balls and place in a container in the freezer to set for at least 30 mins. I usually leave them in the freezer and let them thaw individually when I'm ready to eat one, but you can also store them in the fridge. Enjoy, lovies!